Oh my! If All the World Were…should come with a warning, or at the very least a pack of tissues. This book is simply superb, and yes, there will be tears. 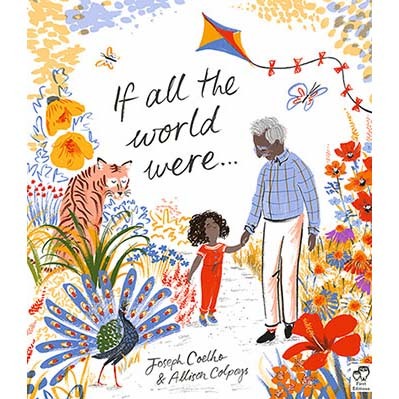 Written by award winning poet, Joseph Coelho, this gentle and beautiful book celebrates a grandparent’s love and explores how a child can heal after a grandparent’s death. Heartbreaking yet uplifting, this picture book is perfect for introducing the concept of death to your child. It’s also a brilliant book for sparking conversations about death. But most of all it’s a delightful read. Allison Colpoy’s illustrations are bright and vibrant, adding a sense of hope and joy to the book. Yes, it is sad, but it is ultimately joyous and life affirming. A must for every home library.